The gingiva is the only one of four periodontal tissues normally viewable. The other three tissues are the periodontal ligament, alveolar bone and tooth root cementum. Collectively, these four tissues comprise the periodontium with the primary function of protecting teeth. 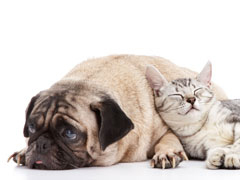 Periodontal disease is first recognized from viewing the gingiva. 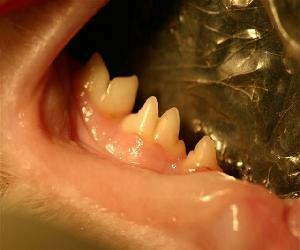 Young dog; normal healthy gingiva. 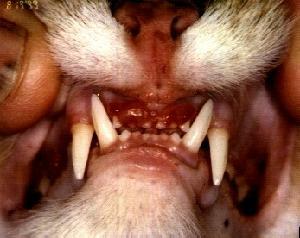 Young cat; gingival inflammation (gingivitis). 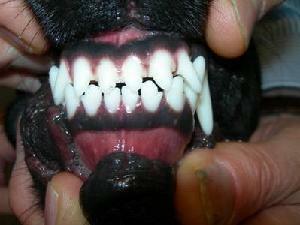 2 yr dog, gingivitis after orthodontic therapy. 5 yr dog; gingival enlargement. as hyperplasia by a pathologist. ligament missing. Root cementum exposed. of the upper fourth premolar. 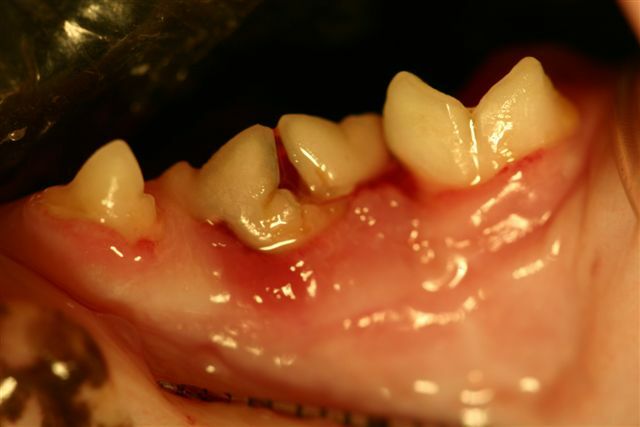 Young dog; traumatic gingival defect.